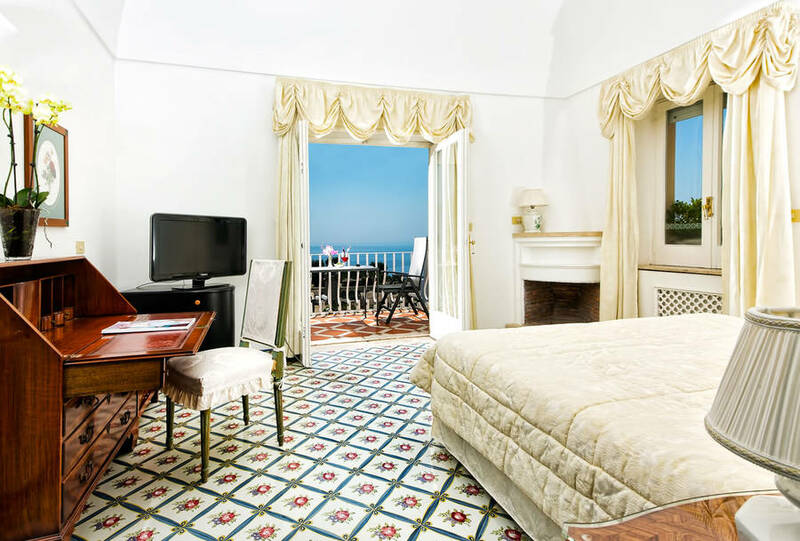 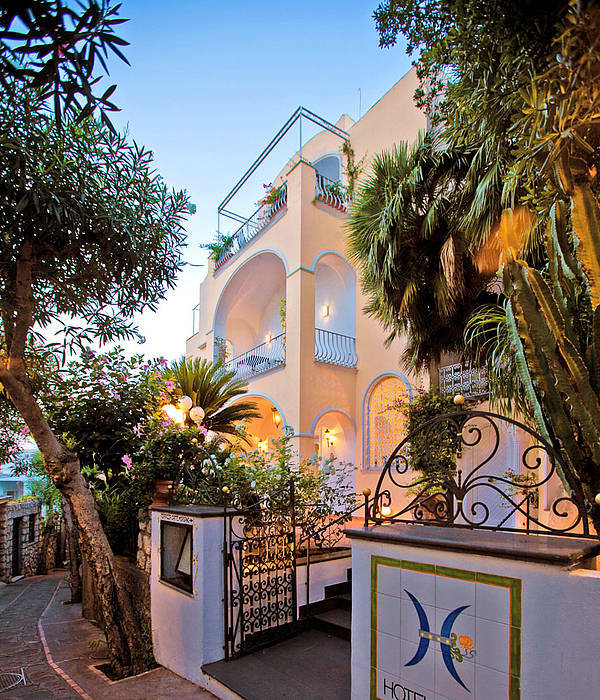 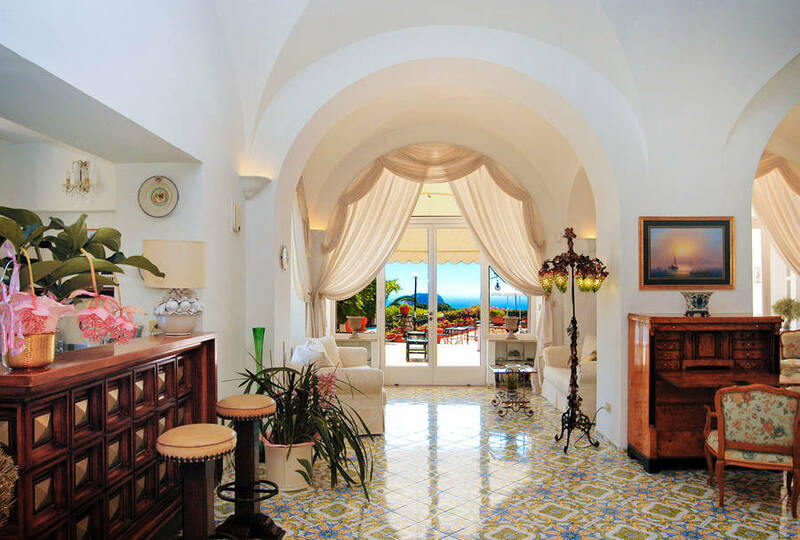 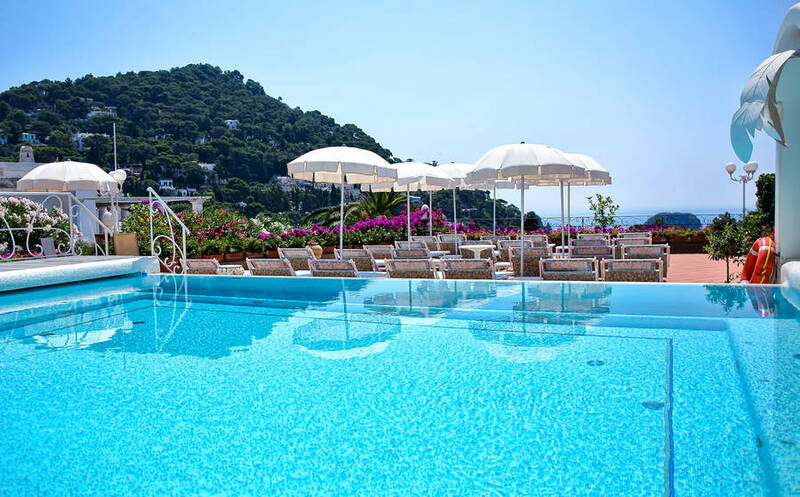 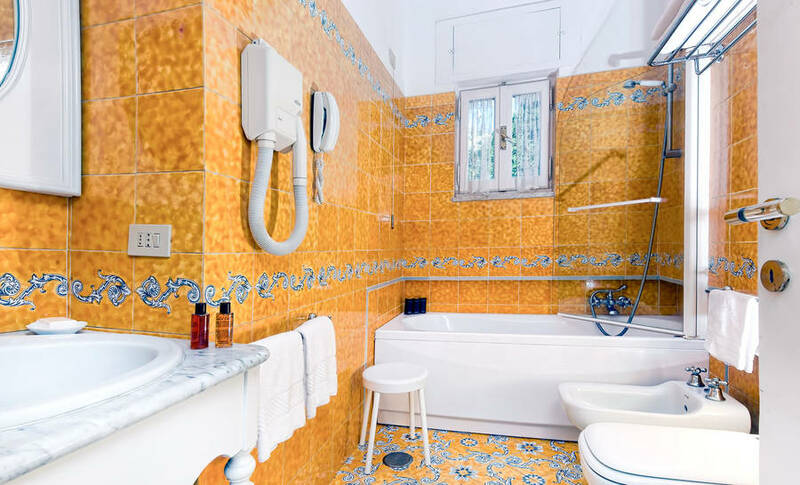 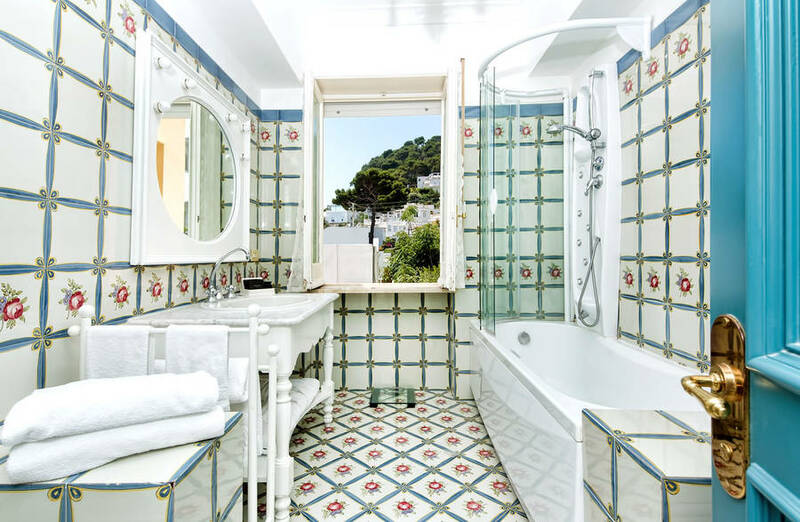 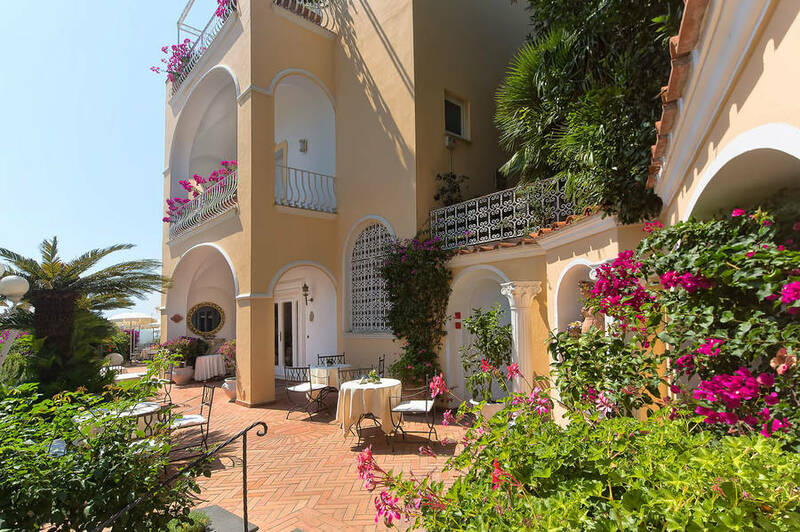 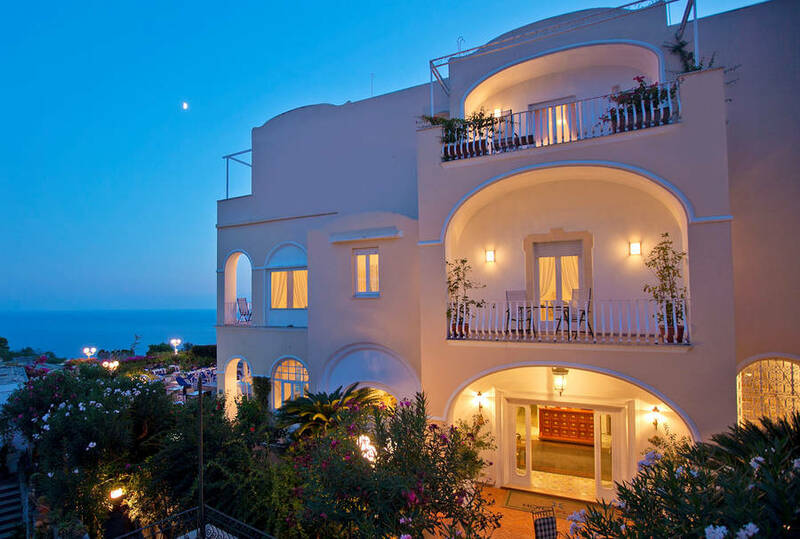 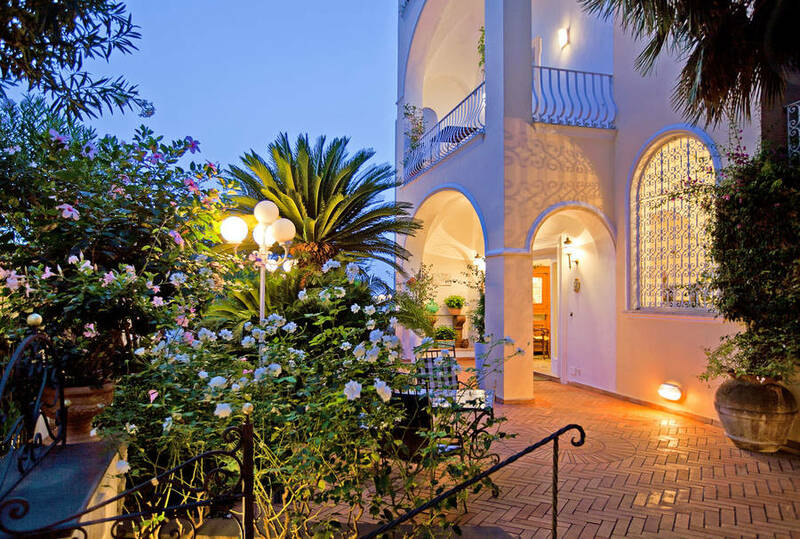 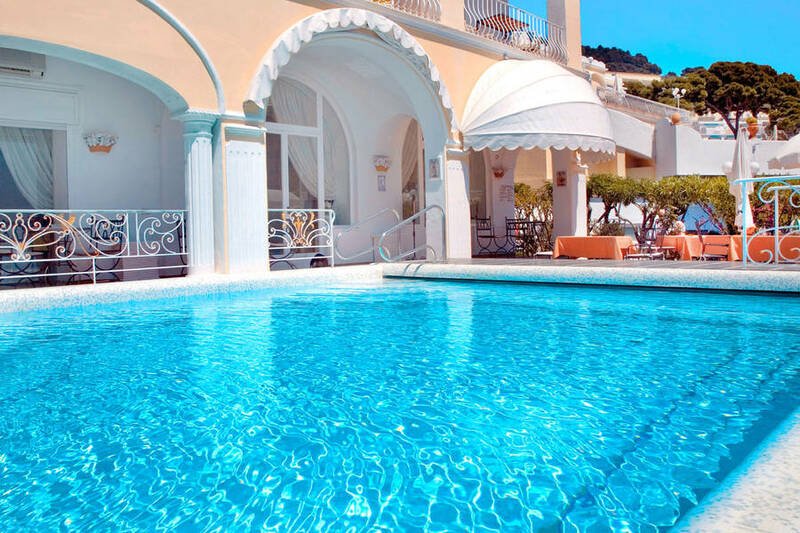 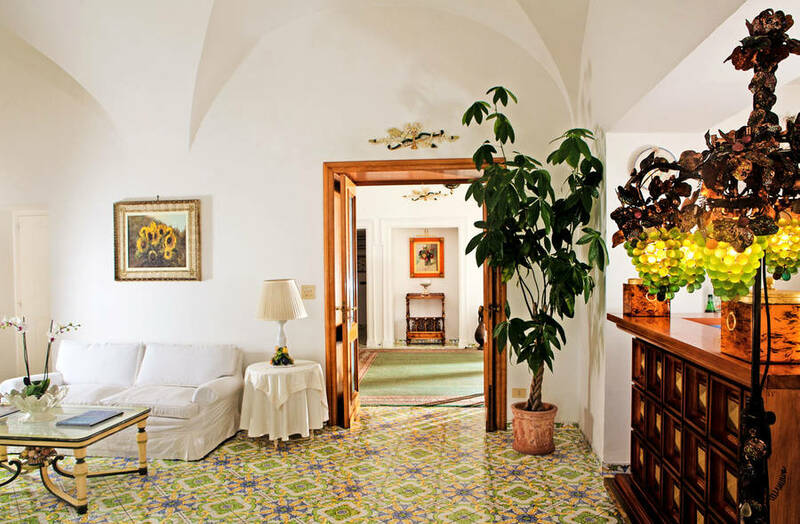 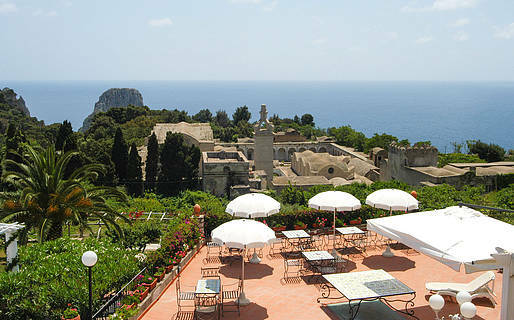 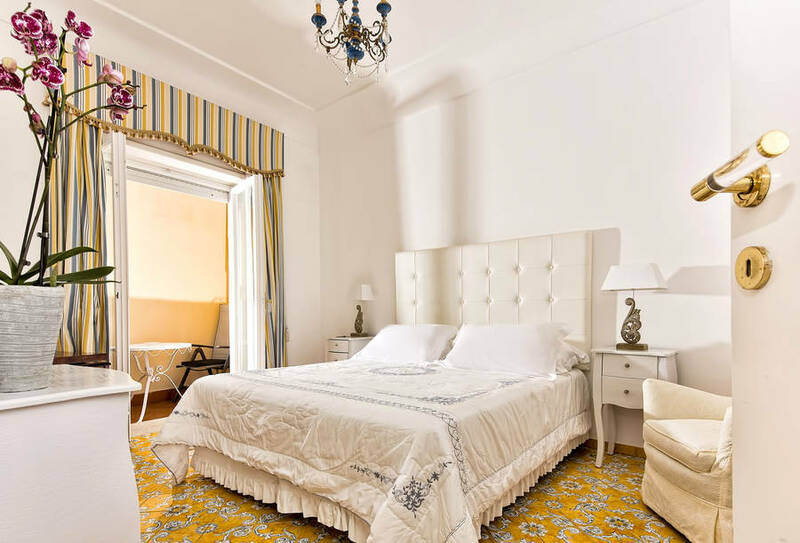 The Hotel Sina Flora is located on a picturesque street in the center of Capri. 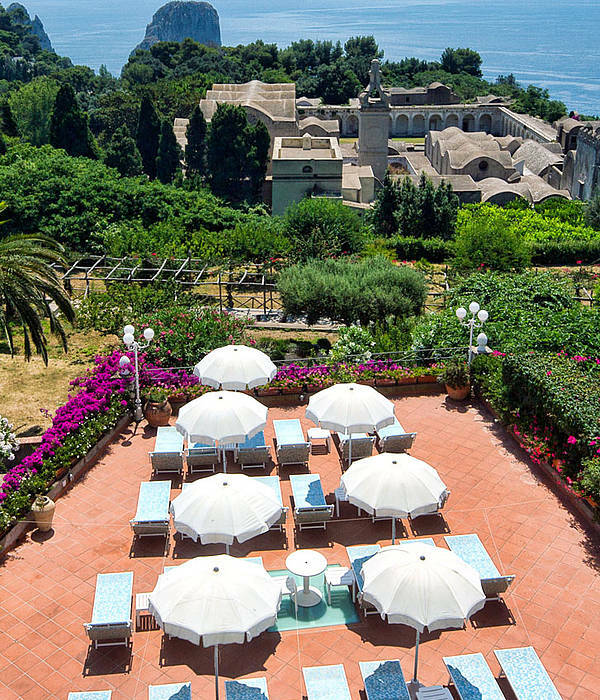 From the hotel guests can also enjoy views of the magnificent blue sea surrounding the island, the Charterhouse of St. Giacomo, the Tragara point, the Faraglioni rocks, and the Castiglione. 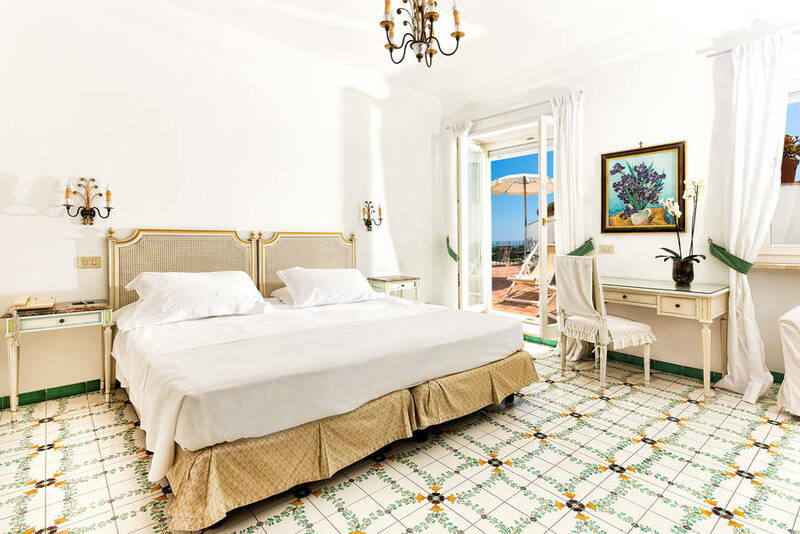 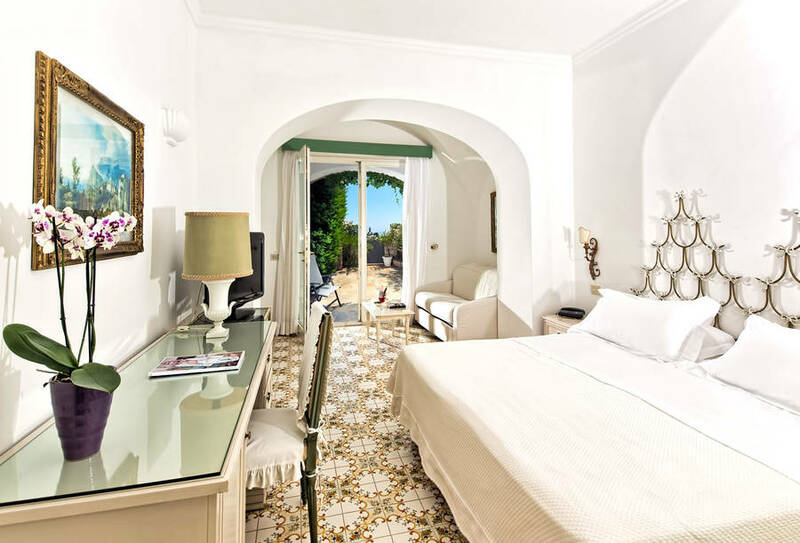 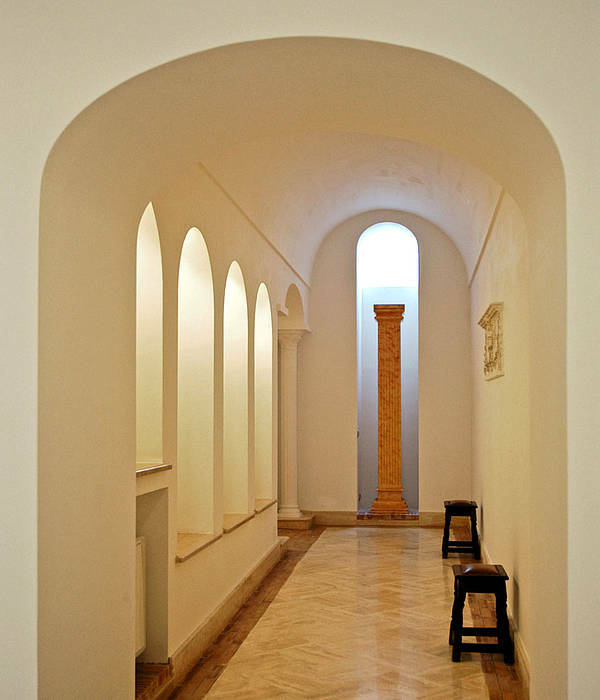 The Hotel Sina Flora is comprised of 24 rooms and suites, all in typical Mediterranean style, characterised by gentle arches and vaulted ceilings. 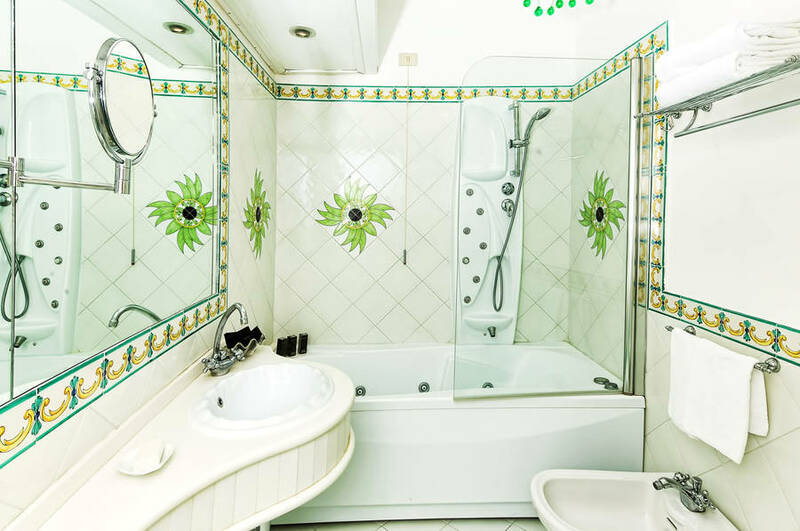 The tastefully furnished rooms are equipped with every modern comfort. 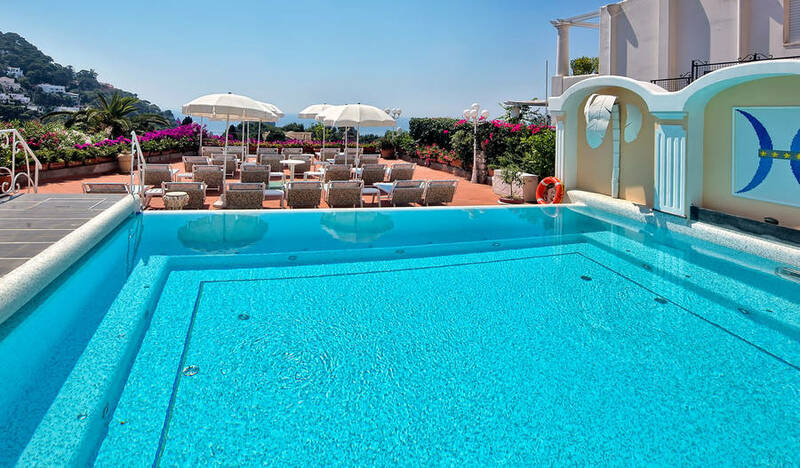 On the large terrace there is a swimming pool with jacuzzi and solarium where to enjoy the sunshine and relax. 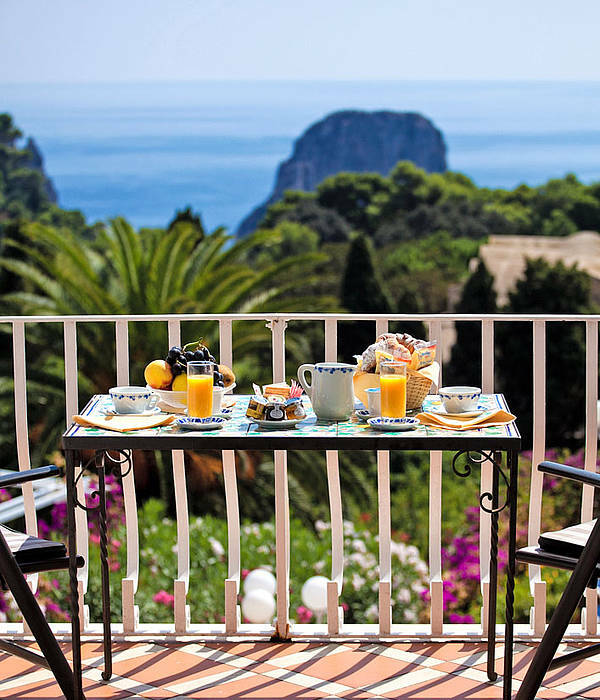 Breakfast and cocktails are served on the panoramic terrace. 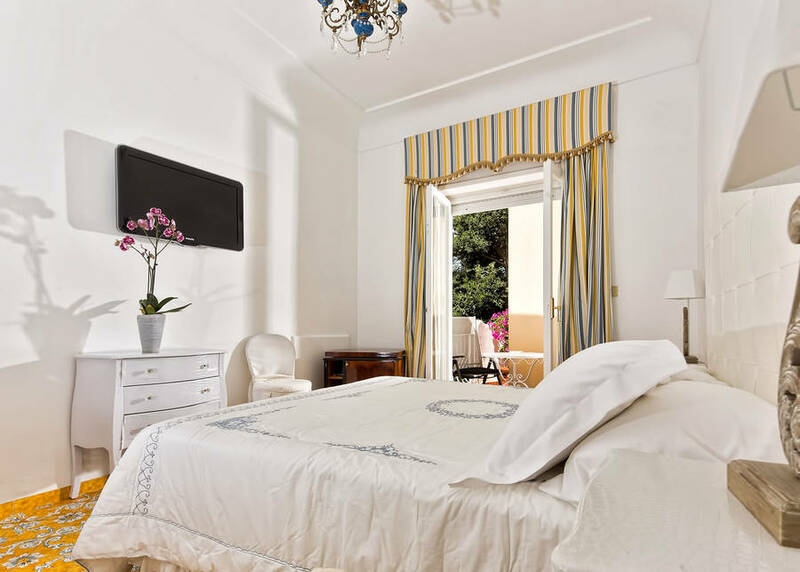 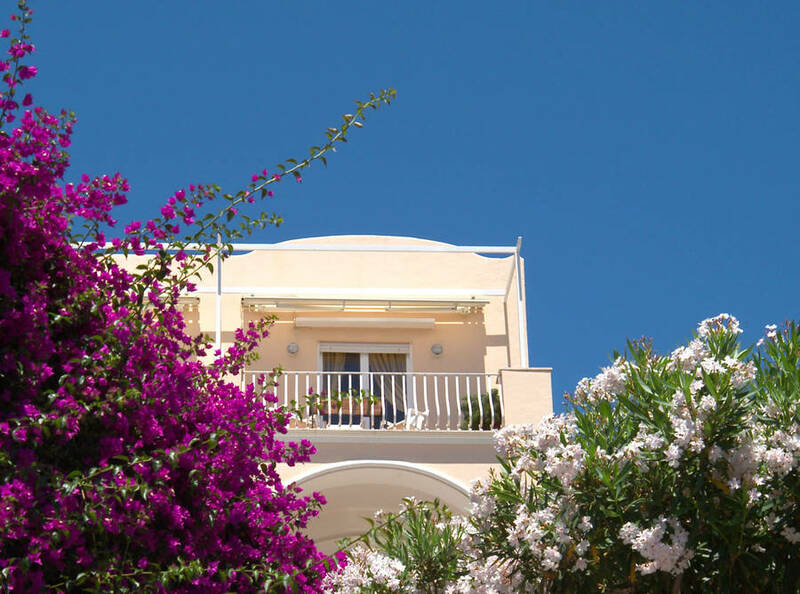 Flawless service, together with careful attention to detail, ensure that those choosing to stay at the Sina Flora feel completely at their ease, as if in their own home. 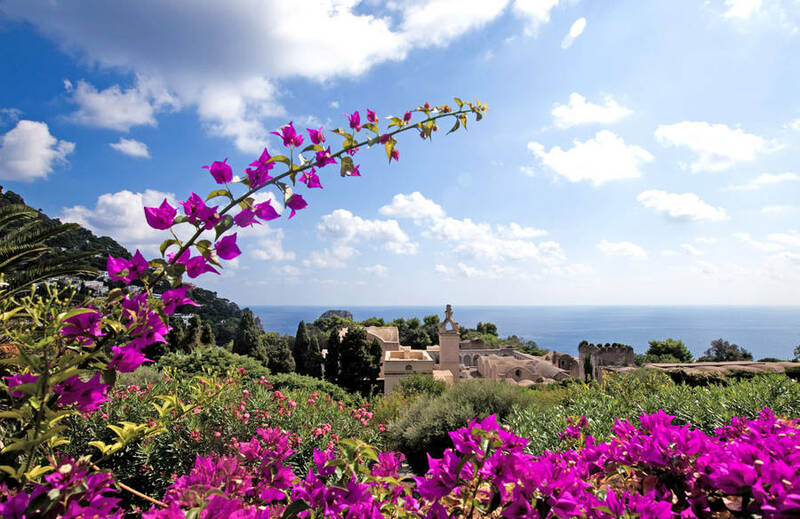 In the last 30 days 20 people have visited this page. 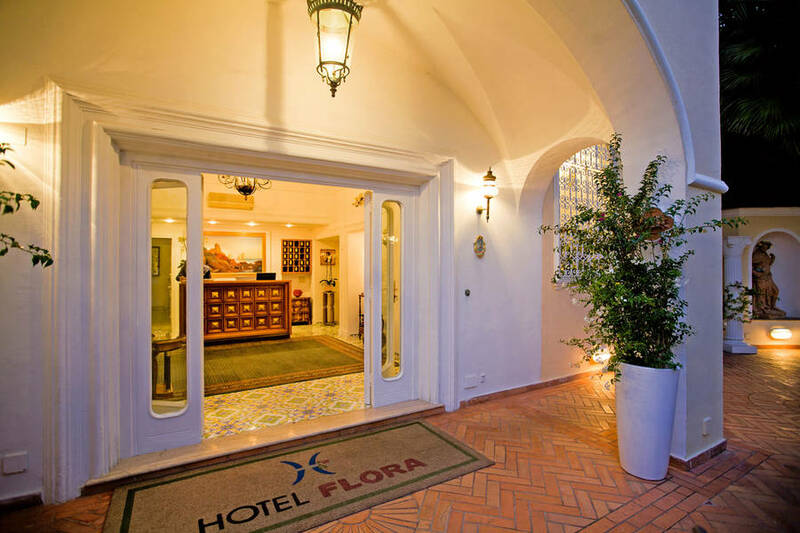 The entrance to the Hotel Sina Flora can be found just 3 minutes away from the Piazzetta, along Via Federico Serena, the street which leads to the Gardens of Augustus - a beautiful spot from where one can survey the spectacular views over the world famous Faraglioni and the Bay of Marina Piccola. 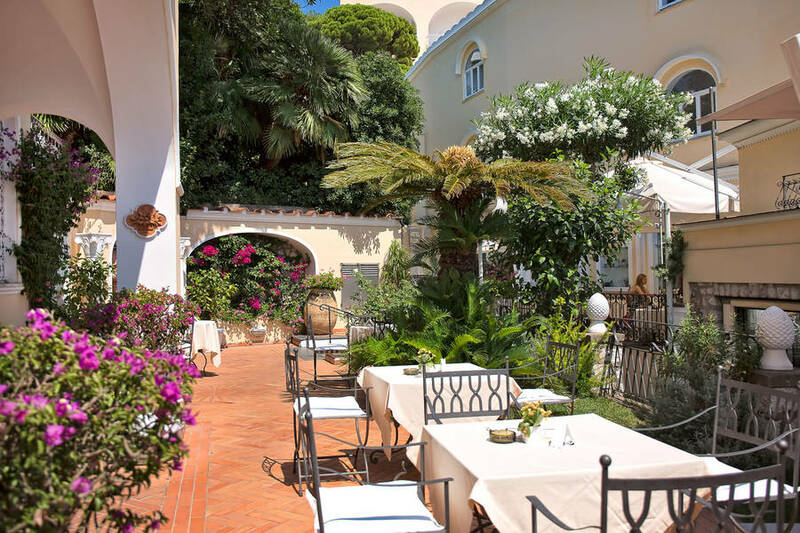 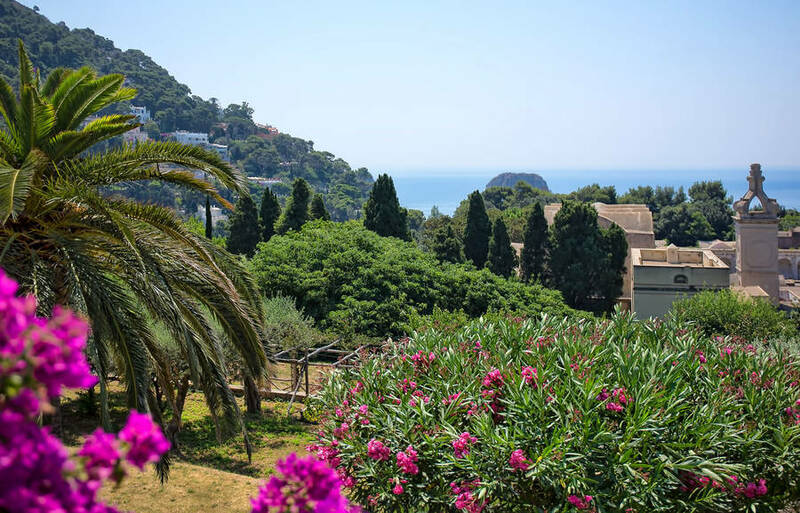 "Incredibly central location, between the Charterhouse of San Giacomo and the Gardens of Augustus, only steps away from the Piazzetta. "